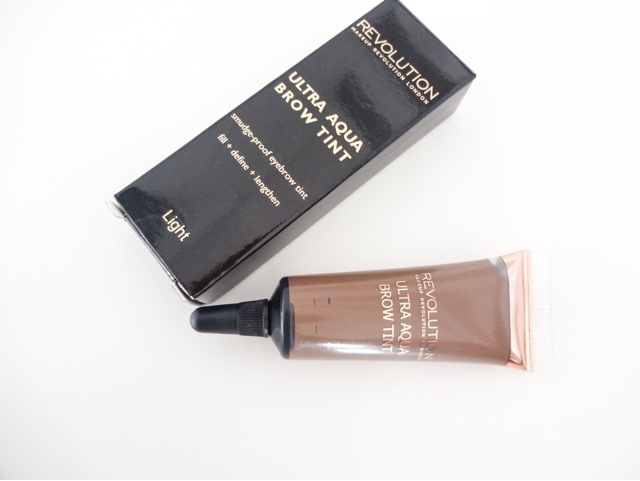 In a recent Makeup Revolution haul, I picked the Ultra Aqua Brow Tint which is a dupe for the far more expensive Makeup Forever Aqua Brow. 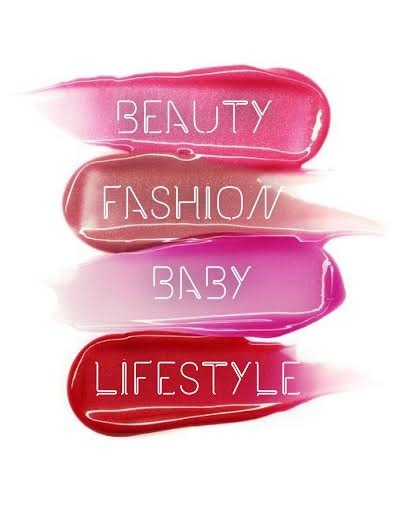 Makeup Revolution are amazing at releasing fast moving dupes for cutting edge products, and they're usually fantastic quality as well. Now, I haven't tried this kind of brow product before, so I was quite intrigued to give it a go. It's a gel like cream that comes in a small squeeze tube. 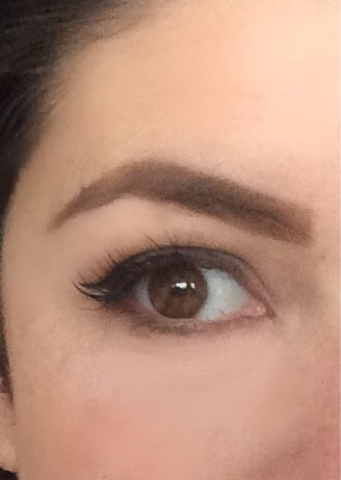 The amount you need to do both brows is minuscule, so this tube would last forever. To use it, I put a tiny dot on the back of my hand, dip in a fine angled liner brush, press it a couple of times to get off the excess and then sketch a line at the bottom and on the tail of my brows to outline the shape. The formula is much more liquid than any brow product I've used previously, so it took me a fair few tries to get to grips with it and be able to have enough control and precision for it to look good. The secret is really to put such a light coating on the brush, or else it goes on way heavy. It can look a little dense and blocky as it's extremely pigmented, so brushing your brows through after with a spoolie also helps a lot. 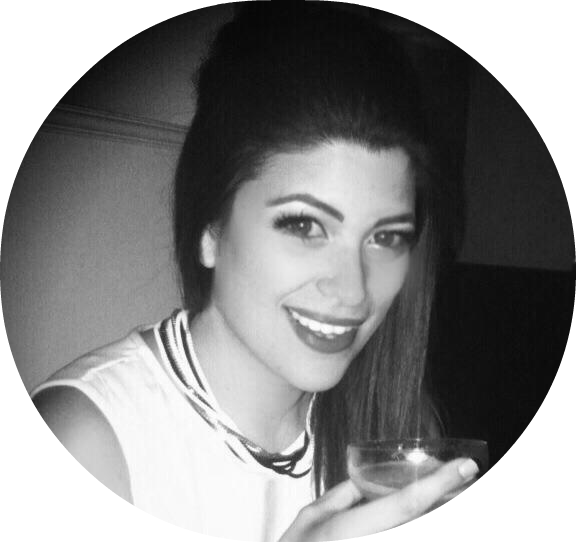 Shade wise, even though my brows are very dark, I always fill them in with a colour a bit lighter, to avoid the drawn on with a Sharpie look! I actually purchased the shade ‘Light’ and it works fine on me. There is also a ‘Fair’ which is a bit less warm and more ashy. I was tempted to try that but I was a bit lost as I bought these online, so I didn't really know what to get. I would be interested to try ‘Fair’ at some point. There's also a Medium and a Dark shade, although my hair is a very dark chocolate brown and I wouldn't use either! But that's just personal preference. 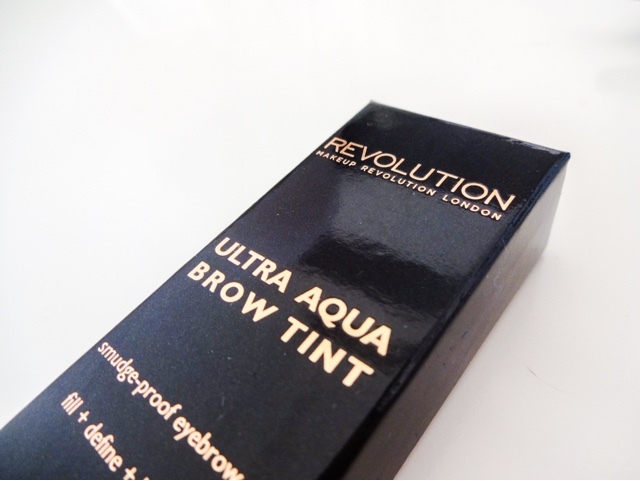 Performance wise, the Ultra Aqua Brow Tint is amazing. It's very hard working and budge proof. It easily lasts the whole day and I've even worn it swimming! So if durability is your thing, you'll love it. People say the Anastasia Dipbrow Pomade is invincible, but I still find that smudges on me and goes patchy after a full day. Although this isn't the most natural looking of all my brow products it still looks good and quite honestly the durability alone makes it one of the best. It's become my go to choice if I know I'm going to be getting wet or sweaty. For £3 as well, this is a knockout product. Especially when you consider the Makeup Forever equivalent is £16. The tube is 10ml and so will last forever and a day but I will certainly repurchase this when it runs out. I loved this product, but found the medium has a too obvious red undertone that isn't flattering for my skin and hair type.